About Ma Lady's Ball: A round of golf was truly a social occasion. 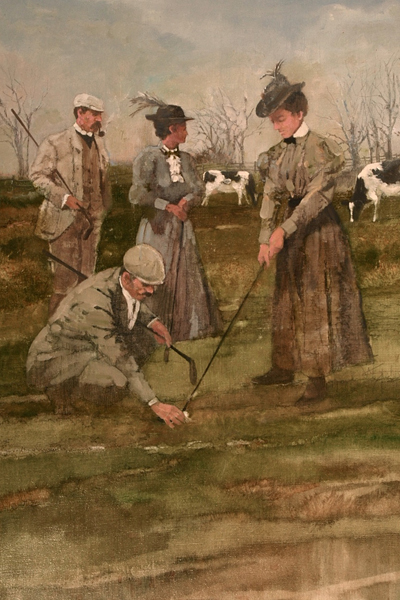 Long skirts and high fashion were considered the standard for "golf apropriate." Before wooden tees, a gentleman would tee it up for his lady on a small mound of sand.